Here’s a fast festive photo frame for your fridge. 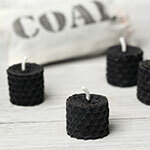 (Whew, say that 3 times fast!) 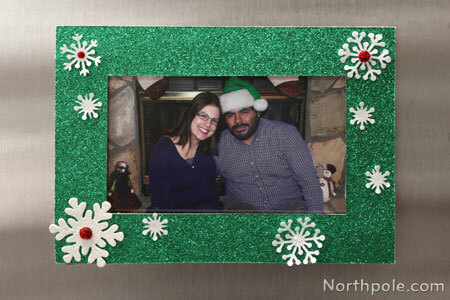 This glittery magnetic frame is pretty simple and is great for posting Christmas cards, photos, or a child’s artwork on your fridge. 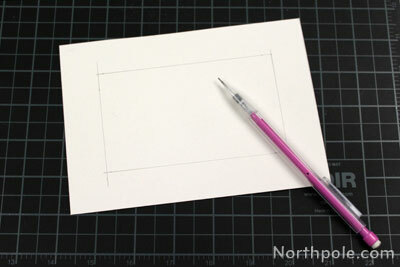 Make it smaller or larger to fit your preference, and of course, you can use whatever paper you like. We used chipboard to make the frame sturdy, but you could use cardboard, too. 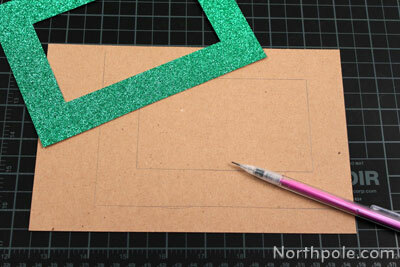 Measure and cut glitter cardstock to desired size. We made ours to frame a 4" x 6" photo. The outer dimensions are 5" x 7" and the inner dimensions are 3" x 5". 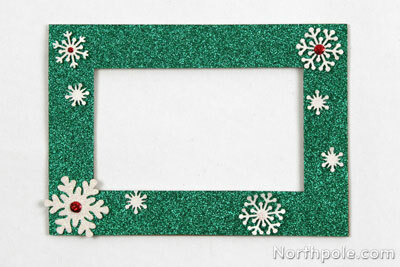 Stack glitter frame and chipboard frame together, make sure all edges line up nicely. Trim any edges, if needed. 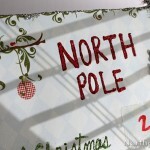 Using hot glue, glue the glitter frame and chipboard frame together. 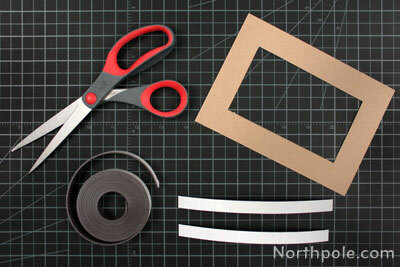 Cut 2 pieces (or more, if needed) of magnetic tape to fit the frame. 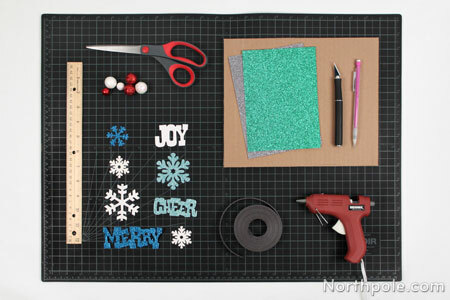 Stick the magnets onto the chipboard. 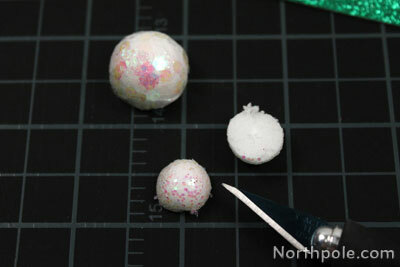 Glue snowflake confetti and other embellishments. 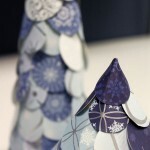 Optional: Cut foam balls in half with X-Acto and glue in the center of snowflakes or under the snowflakes to make them 3-dimensional. Your frame is done! 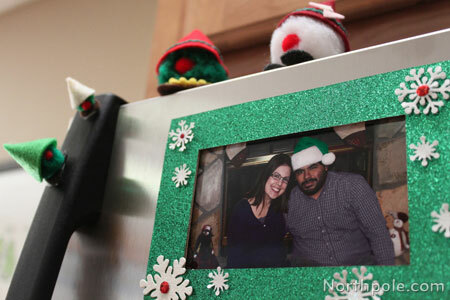 Stick on the fridge with your favorite photos or cards.